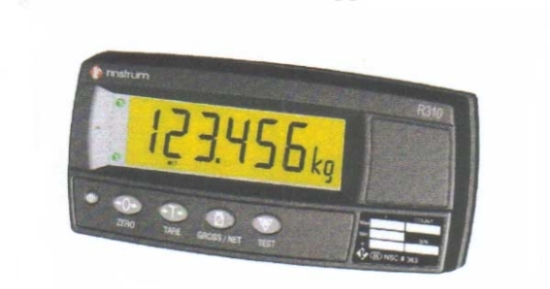 This very latest design digital indicator is best suited for use in basic weighing applications. It utilises the powerful Sigma~Delta A/D Converter and 4 layer surface mount technology for very low ppower consumption and extreme durability. The 20mm LCD display has LED backlighting for easy viewing in all lighting conditions. All cable connections are via special spring-locking push terminals for ease of installation (no soldering required) and permanence. A Rin-LINK infra-red port isdesigned into the display to allow a PC to upload and download configuration files. But, unlike other R300 models,there is no direct PC access to setup and calibration functions. A "FLASH"rom allows for the updating of software in the field. Should you need to request for quotation of this product, please do not hesitate to email or call us, our staff will get back to you very soon. (c) 2006-2009 Load Technology Engineering (M) Sdn Bhd. All rights reserved.